Behind the Rogue and Murano, U.S. sales of Nissan crossovers, trucks and SUVs set a record, with volume up 15 percent in November, the company said Tuesday. The gains among major automakers fell within a narrow range of 0.3 percent at Ford Motor Co. to 3.8 percent at Nissan Motor Co. Hyundai-Kia’s 7.1 percent increase -- driven by a 12 percent gain at the Hyundai brand -- stood out in percentage terms. Only American Honda and Volkswagen Group posted a decline in volume. The final industry tally for November was delayed until Wednesday because Mercedes-Benz, citing a “systems malfunction,” reported results a day after other automakers. Jeep sales increased 20 percent to 68,909, the brand's best U.S. November on record and its 26th-consecutive month of year over year gains. At Fiat Chrysler, deliveries rose 20 percent at Jeep and 0.6 percent at Ram. They dropped 7.5 percent at Dodge, 12 percent at the Chrysler brand and 2.6 percent at Fiat. Overall, FCA’s truck volume rose 11 percent while car sales slid 22 percent. FCA’s incentives averaged $3,573 last month, an increase of 13 percent over November 2014, TrueCar estimated. At General Motors, a 4.8 percent rise at Chevrolet offset a 17 percent drop at Buick and the first decline at GMC in a year. Cadillac was up 1.8 percent. GM’s said its average transaction price hit a record $35,800 last month, up about $740 from October 2015 and an increase of about $580 year over year. The company's incentive spending was 10 percent of ATP, down 1.6 percentage points from October 2015 and down 1.2 percentage points year over year. 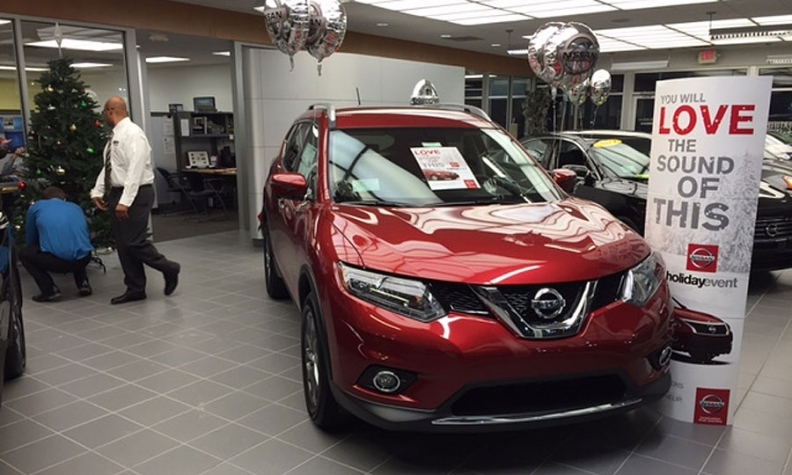 At Nissan, volume rose 3.9 percent at the Nissan brand and 2.6 percent at Infiniti. Deliveries rose 0.4 percent at the Ford division but slipped 2.4 percent at Lincoln. Ford said lower incentive spending prompted a $3,800 boost in average transaction prices compared with a year ago. “We saw strong customer demand for our cars and SUVs with the latest technology and sold a very rich mix in November,” Mark LaNeve, Ford's head of U.S. sales and service, said in a statement. “F-Series and commercial vans also were very strong, with an 18 percent gain for the month and our best November sales performance for Ford Trucks in eight years." Among other automakers, sales rose 7 percent at Mazda, 1.8 percent at Subaru and 3.6 percent at Mitsubishi. At Mini, deliveries slid 11 percent. Among luxury brands, volume rose 3.2 percent at BMW, 91 percent at Volvo, 79 percent at Land Rover, 0.4 percent at Audi and 6.8 percent at Lexus. But deliveries slipped 12 percent at Mercedes-Benz, 5.3 percent at Porsche, 15 percent at Jaguar and 18 percent at Acura. This month's ratio of incentive to ATP for light vehicles was 9.3 percent, up 5.4 percent from November 2014 and down 2 percent from October 2015, based on TrueCar analysis. Daimler and Honda show the most improvement in ATP ratio in November versus the year-earlier month. 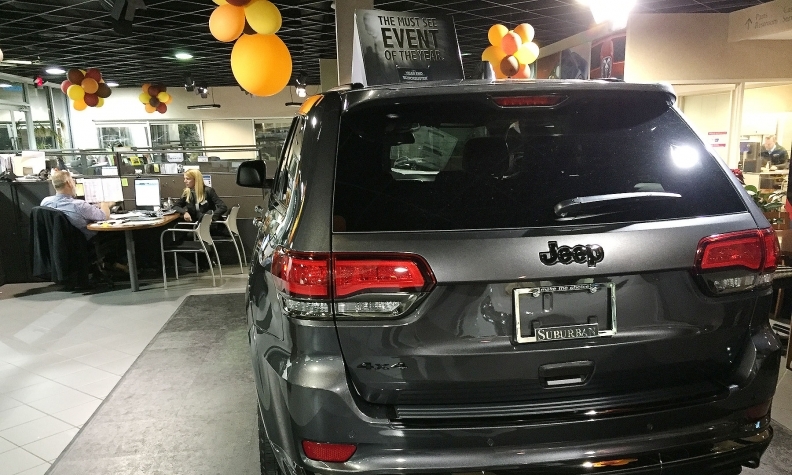 Many automakers, like other retailers, launched year-end holiday deals in November. Automakers spent 6 percent more last month on incentives than they did a year ago, according to TrueCar Inc., a vehicle pricing research firm, with the average discount topping $3,000 a vehicle. On Monday, Bill Estes, an Indianapolis-area dealer, was advertising $13,500 off a Ford F-150 pickup, $7,000 off the Ford Escape, 20 percent cash back on the Chevrolet Malibu and 0 percent for a 72-month loan on a Chevrolet Silverado. For several months now, because of weak car demand, some of the best deals have been available on midsize and large sedans, and hybrids. • $2,250 or 0% APR for 60 months and $500 cash on the 2015 Toyota Prius. **Fiat S.p.A. completed the acquisition of Chrysler Group LLC on Jan. 21, 2014; the companies were merged under holding group Fiat Chrysler Automobiles on Oct. 12, 2014. Rick Glenn, director of internet sales at Findlay Toyota in Henderson, Nev., said the slump in car demand across the U.S. hasn’t been the case in the Las Vegas area. The dealership sold more than 100 Camrys in November and the Prius is “still attractive” to buyers in the region, he said. But light trucks such as the Toyota Highlander and 4Runner remain hot in southwest Nevada. Deliveries of the Tacoma, benefitting from $1,750 off the MSRP, have been “on fire,” with Glenn citing advertising that Toyota airs during NFL games on Sunday. “They hit a home run with the redesigned Tacoma,” he said, adding it was smart to “advertise to that demographic” in the greater Las Vegas region. Gabe Nelson and Nick Bunkley contributed to this report. Toyota Motor sales rise on trucks; Lexus sets record Nov.